The Fat One was so busy of the 4th of July that he can’t even finish telling you about it all. Happy National Apple Turnover Day. 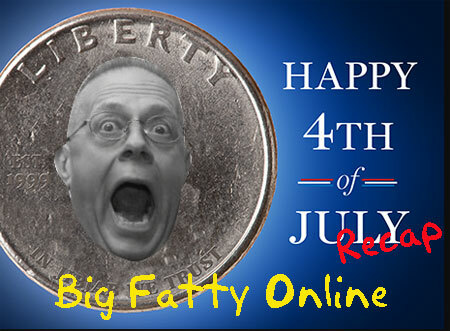 Posted by Big Fatty in Podcasts on July 5th, 2012 ‌ Both comments and pings are currently closed. Can you get me a resume of that recipe, cause it’s too much informations and changes of a recipe for me to understand what it is about. I don’t even know what it is. You having a gentleman caller absolutely didn’t improve my personal statistics… Maybe it only works if you reach a 2 or 3 gentlemen rate per week. So get yourself to work, and get us out of the famine!